This tasty turkey casserole recipe is made with leftover Thanksgiving bird, stuffing, gravy, and a little cranberry sauce for topping. 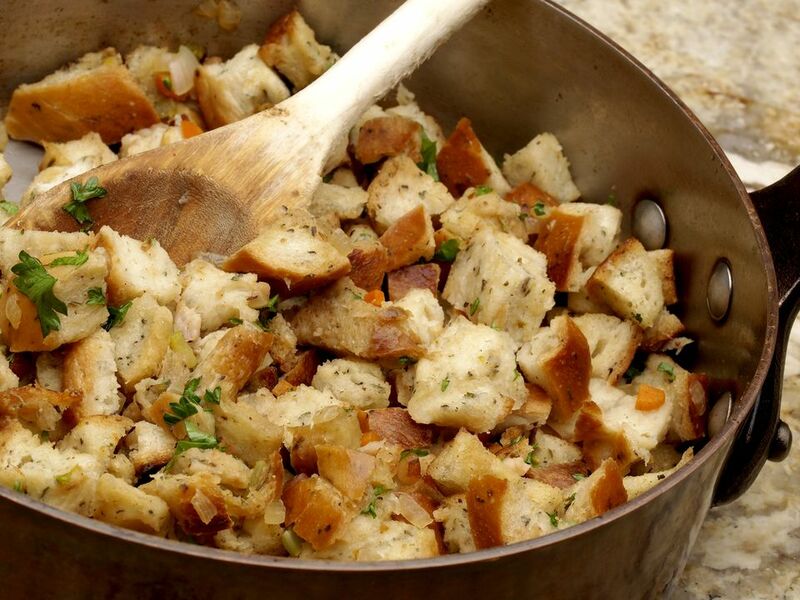 It's a popular way to use holiday dinner leftovers, but it can be made with freshly cooked diced or sliced turkey or chicken and prepared stuffing as well. It's a nice dish to make for a potluck dinner and can be scaled up or down quite easily. The cubed cranberry sauce gives the casserole extra flavor. If your family isn't fond of cranberry sauce, serve it on the side. Preheat the oven to 350 F/180 C/Gas 4. Butter bottom and sides of 2-quart baking dish. Arrange half of the dressing in the bottom of the prepared baking dish. Add half of the turkey then top with half of the gravy. Top with cubes of cranberry sauce. Bake in the preheated oven for 30 to 35 minutes. Replace the turkey with chicken for a chicken and dressing casserole. Sauté about 1/2 cup of diced celery and 1/2 cup of diced onion in butter and add to the prepared stuffing mixture for some extra crunch and flavor. Add chopped toasted pecans to the stuffing mixture.